Mikage Kirio isn’t your ordinary teenage girl, she is in fact a highly trained ninja living in America. 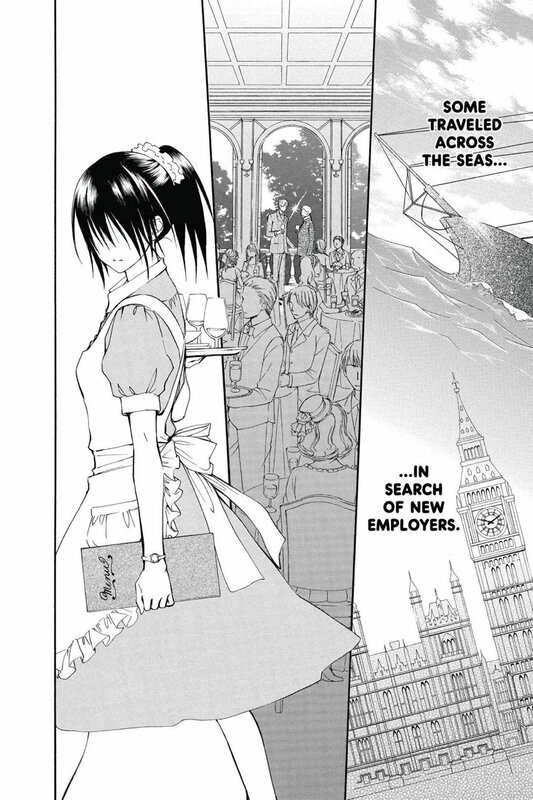 Following the wishes of her previous employer, Mikage travels to Japan to start her ordinary life as a high schooler. However before she even gets a chance to settle into her new home, she saves the life of Mahito Wakashimatsu. Disrupting a ninja squad, she is now targeted as another enemy. Will Mikage return to her ninja ways and make the mysterious Mahito her new employer? Shuriken and Pleats is the latest manga series from Matsuri Hino (Vampire Knight). When I discovered that ‘Shuriken and Pleats’ was written by Matsuri Hino, I hurriedly grabbed the first volume and made my way to the check out. The author even commented in the book, that this will be a short series. She was not kidding! After finishing the first volume, I went online to find Volume 2 was the second and last release in the series. Where in her last published manga series we dealt with Vampires and Hunters, this time we have ninjas. Mikage Kirio grew up in a strict organization, where she trained daily in stealth, weapons and agility. She was assigned to an American businessman, to train with his private security force and to be his protector. Having developed a close relationship with Mikage, he wished only for her happiness. To leave the life of a ninja behind and to be a normal teenage girl. Mikage travels back to her ancestral home of Japan to begin a quiet life, but before she can even reach her new home she is soon pulled back into a ninja’s fight. The entire plot and relevant information was placed perfectly. In just one book I established a strong connection with the characters. 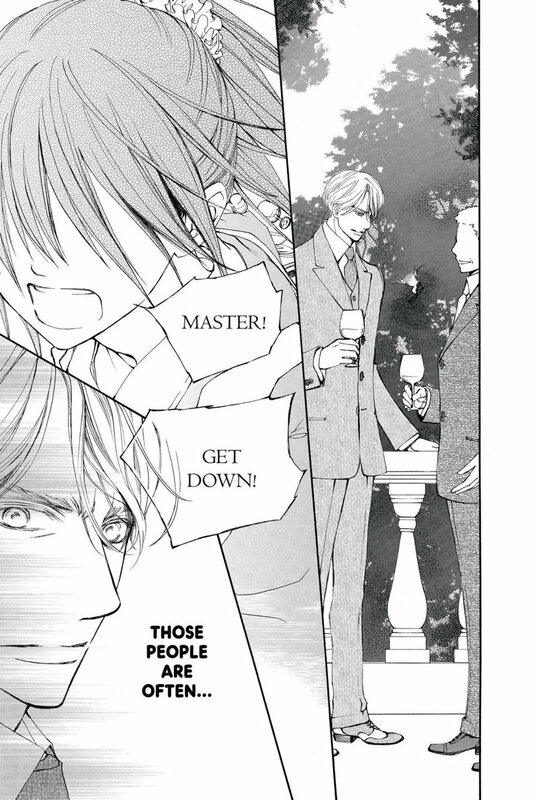 Clearly Matsuri Hino has learned a lot from her time writing Vampire Knight. She has comprised the story of this ninja into just two volumes, and I look forward to seeing how it ends. Having grown up within a hidden organization, she was taught to never give into emotions. Once she entered into her first employer – Mr Rod’s household she started to thaw out. Having lost both his daughter and wife, Mr Rod grew attached to Mikage. More so since she joined his staff as a young girl, probably when she was close in age to his late daughter. Having grieved for his loved ones, he wanted to focus more on humanity and the people around him. Thus he wanted to make Mikage happy and set her on a safer path in life. Those feelings did not go unnoticed by Mikage and she took it upon herself to fulfil his wish. Leaving the U.S and her father’s organisation behind, but fate had other ideas for her. Mikage has had to restrain her emotions since childhood, as well as withstanding all measures of pain. So getting sick, meant you had to take care of yourself. Moving into Mr Rod’s estate gave her some more freedom, and some form of a childhood. Eventually when she gets to Japan, she is able to grieve her loss. Then we have Mahito Wakashimatsu who we meet on the run, hiding from ninjas. An odd character at first, but later on we see a very compassionate side to him. An interesting man and possibly more will be revealed about him in the next volume. Well like the title suggests, there is a lot of ninjas involved. The Shuriken is a concealed weapon, known more in the West as throwing stars. Usually used for far distance targets, with sharp edges. The main weapon associated with ninjas. 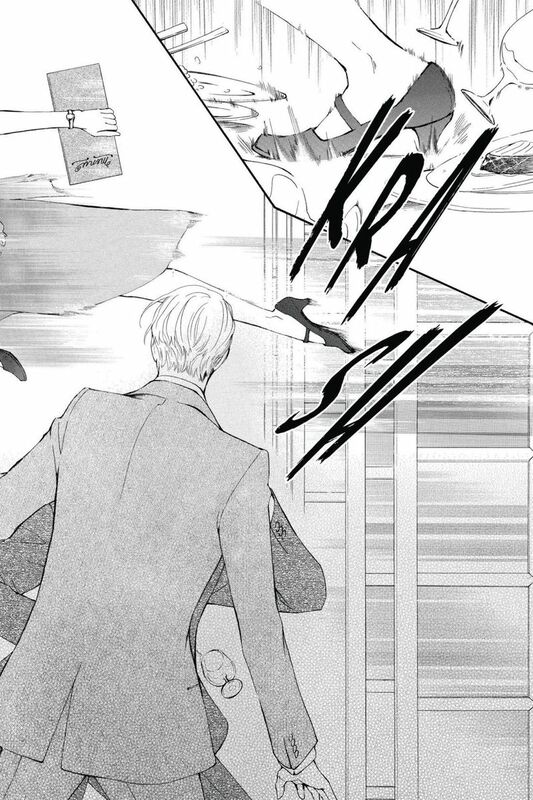 The opening panels to Volume 1 involve Mikage saving her Master’s life, from an attempted assassination from a hidden sniper. With swift reflexes, trained senses and astonishing agility, she was able to pinpoint & apprehend the intruder without any assistance. However she can not be everywhere at once, and thus she takes any breach of her Master’s safety personally. She is not the only ninja though in this tale and she deals with some older, more professional opponents once she arrives in Japan. Her training however puts her as a top competitor. From the cover art alone, I mistakenly thought this was to be a continuation of Vampire Knight. Matsuri Hino has a distinct art style and much like CLAMP, she does tend to reuse her character designs. 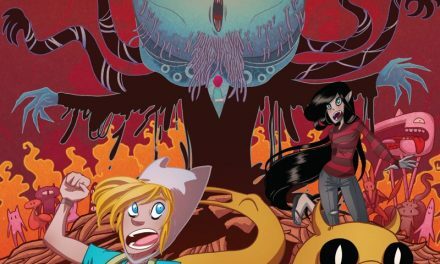 Focusing on lead female characters and their lives. With several tones of shading to distinguish the change of environment between the U.S. Ninja Headquarters and the warm home of Mr Rod. A handsome looking man, who is capable of having a sparkling personality. This manga was serialized in Shojo Beat magazine, which is aimed at the teenage girl market. Although this series is filled with action, so it can easily be enjoyed by all audiences. Matsuri Hino is a Japanese manga artist who made her debut in 1995, with a one shot called ‘Ko no Yume ga Same Tara’, in LaLa DX magazine. She has also published several other manga series, including Captive Hearts, MeruPuri: Marchen Prince, Wanted and her most well known series – Vampire Knight. Of which was also adapted into an anime by Studio Deen. 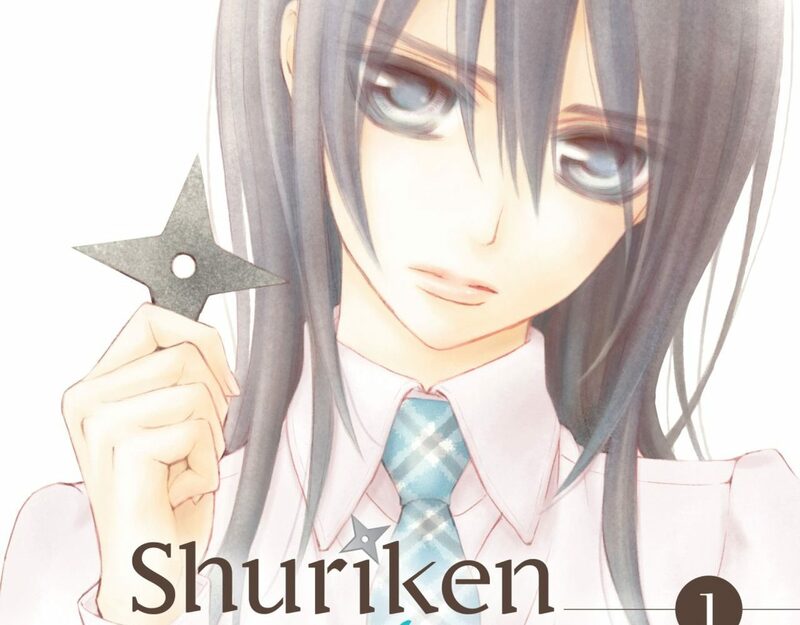 If you have read Vampire Knight, you will certainly enjoying ‘Shuriken and Pleats.’ A short manga series that shows the challenges and decisions one young ninja makes, to live a normal life outside of the shadows.